Key Center for the Miami Heat, Hassan Whiteside’s relationship with the team has been on the rocks pretty much all season, but most notably since this year’s playoffs. Since signing his 4-year / $98 Million contract extension in 2016, the old school Center’s performance has well short of All-Star caliber. When the Heat lost to the Philly 6ers in this year’s post season, Whiteside complained about his lack of playing time following a Game 3 loss. The series was over in 5, and Whiteside had only compiled 76 minutes of playing time (15.2 mpg) while being ridiculed for poor play and being out of shape. One argument Whiteside had was that he was injured but taking a deep dive at the situation seems to tell another tale. 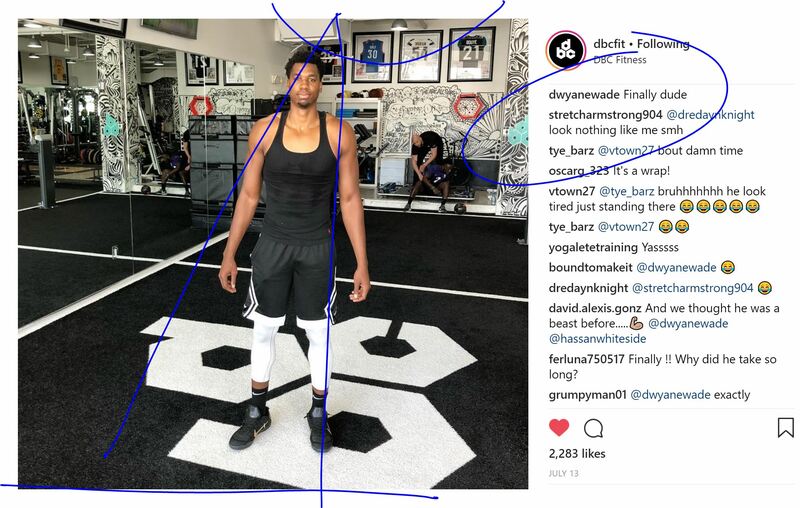 On July 13 of this year, Whiteside was posted on DBC Fitness’ instagram page. DBC Fit is a bio-mechanics training facility in Miami that’s training the who’s who and what’s what in professional sports right now. Training cream of the crop athletes such as LeBron James, Dwayne Wade, Ben Simmons and many others, DBC Fitness is rebuilding athletes from the ground up focusing on muscular imbalances and faulty movement patterns. They are very responsible for Victor Oladipo’s resurgence this last season and are also working with John Wall and Jahlil Okafor in an attempt to revitalize the now obsolete SF’s career. If you read through the comments, you’ll find things such as Dwayne Wade saying “Finally” while Andre Drummond jokingly chimes in with a “Thank God, please get him right” and a prayer emoji. I guess it’s no secret amongst NBA pros that Hassan hasn’t been the most committed to his training regiment. And if you look even more closely you can notice that Hassan is off balanced in the photo and putting way too much weight on his left leg. He damn near looks like the gosh darn Leaning Tower of Pisa out there. No wonder his performance has been abysmal since the big payday. Hopefully, for the Heat’s sake, the experts at DBC can get him right and Miami can begin to seek an ROI on the now defunct style Center’s skills. Whiteside stated it was a 4-hour meeting, half of which they discussed basketball and the other half in which they discussed life. That’s a good sign if you ask me, because a lot of what you need to do to take your game to the next level in the NBA depends on your lifestyle. Due an average of $26M over the next two years, the Heat’s playoff lives rely heavily on the production of Hassan. He’s set to be an UFA in 2020. It’s very interesting to be able to shed light on some of the reasons a supposed star player is not performing. The casual fan may have no idea whether its the player’s relationship with the team or the fact that the guy isn’t putting in the work. In this case it seems to be both. 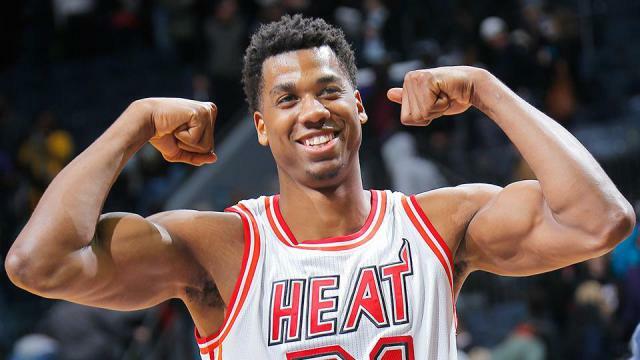 Only time will tell how Whiteside will perform next season, but we will get a preview of the work he has been putting in during Saturday’s NBA game in Africa which Whiteside is set to appear in.